William Ramsey is the author of Prophet of Evil: Aleister Crowley, 9/11 and the New World Order, Abomination: Devil Worship and Deception in the West Memphis Three Murders and Children of the Beast: Aleister Crowley's Shadow Over Humanity. He also produced and directed three documentaries. His most recent is The Smiley Face Killers: Who is Abducting, Torturing and Murdering College-Aged Men in the US and UK. The other two are Occult Hollywood and Prophet of Evil: Aleister Crowley, 9/11 ... See More and the New World Order. William Ramsey interviews VISUP on the fascist Le Cercle group. Author Elaine Shannon discusses her book Hunting LaRoux: The Inside Story of the DEA Takedown of a Criminal Genius and His Empire. William Ramsey interviewed by RX Only Pictureshow about the Smiley Face Killers. William Ramsey interviewed by Pastor Mike Spaulding of Dr. Mike Live about the SFK phenomenon. Researcher John Brisson discusses the Finders cult. Author John Hamer discusses his book The Falsification of History: Our Distorted Reality. 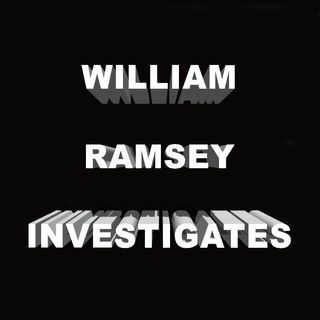 William Ramsey interviews Roberta Glass, who attended a Jeffrey Epstein related hearing on March 6th, 2019.